Male California Dogface butterfly; photo © Peter J. Bryant (used by permission). 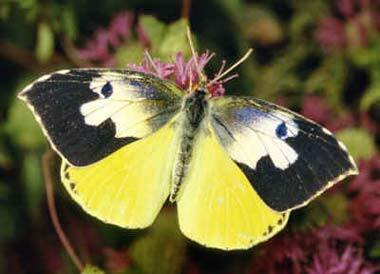 The California dogface butterfly, also called "dog-head butterfly," is found only in California. The male has markings on its wings resembling a silhouette of a dog's head. 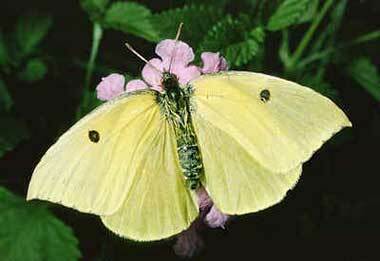 The female is usually solid yellow with a black spot on each upper wing. Female California Dogface butterfly © Peter J. Bryant (used by permission).